I'm working on a set of projects based in AWS. 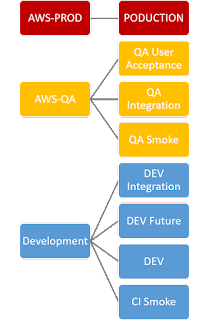 Our projects have somewhere between 7 and 9 different environments representing different levels of software maturity. Production is the most restricted. Development is the least restricted. The rest fall somewhere in between. 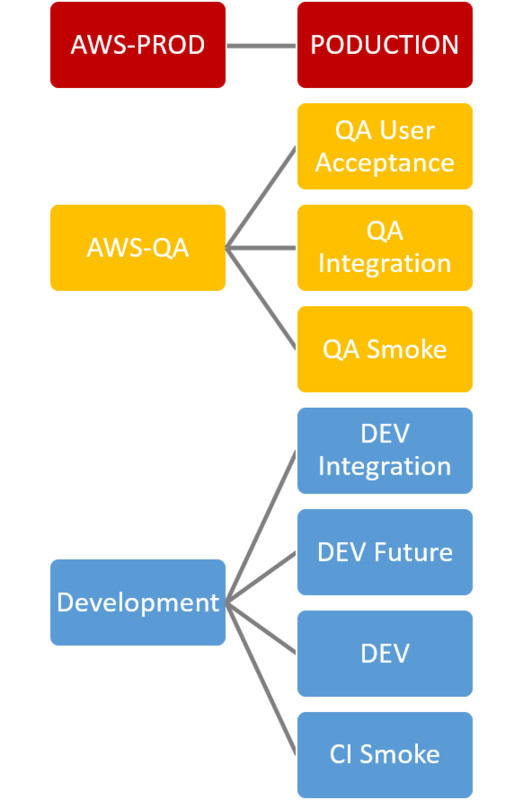 The company partitions the different levels of their SDLC into separate AWS accounts. Each account can have multiple environments that are of similar concerns and access controls. AWS account isolation makes it easy to identify and implement security rules and vary developer , dev-ops and operations access based on the account. ation when switching between AWS accounts in a short period of time. Try it out or check out the source code. Non federated accounts are all treated the same. Any other Account name string.